Dot a.k.a. Natasha Musevic is a Slovenian born music producer, singer, DJ and a multimedia artist who moved to London at the age of 19. Some of her projects during the years include co-running record label like Immigrant (later Imminent) Recordings. During the years Dot lived in London she DJ’ed around with and shared the stage with many dubstep heads like Benga, D1, N-Type, Headhunter, Reso, Elementaland others. Her tracks have being supported and played out by the likes of Mary Anne Hobbs, Kutz, Ramadanman, L.D, Chef and others. Calling home is her debut album. It was released on Read Write Music. It is first Slovenian dubstep album. You can buy album here. She will present album in K4 on event called Zaključna nalomljenka sezone. BALKANFARRAJ MIX VOL 1.& 2. Summer is here and reggae is perfect music for summer evenings. Today we are presented reggae music from the Balkan region that is collected in mixtapes called Balkanfarraj. Music collected and presented by BALKAN Hi-Fi. Check their Soundcloud & FB page. Sun is shinning – perfect combination for easy jazzy music. 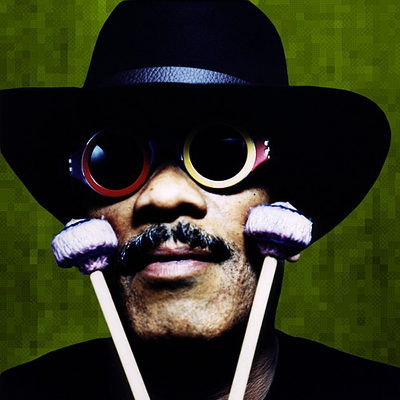 Roy Ayers is an American funk, soul, and jazz composer and vibraphone player. Roy Ayers formed his group Ubiquity in 1970, Roy Ayers has mesmerized millions of people with his unique style of music known as Smooth Jazz. His songs have been sampled by dozens of groups including A Tribe Called Quest, Brand Nubian, X-Clan, Big Daddy Kane, Erykah Badu, Mary J. Blige, the Notorious BIG, Foxy Brown and Sean Puffy Combs. His signature blend of smooth vibes, mother wit lyrics, classic bottom, and dashes of saxophones, keyboards and wordly percussion, is a reflection of his eclectic brilliance. More about Roy Ayers on Wiki.